William T. Butcher, 79, of Bismarck, died April 5, 2019. A memorial service will be held at 5 p.m. Thursday, April 11, at the Elks Lodge. Internment will take place at the Veteran’s Cemetery south of Mandan at 10 a.m. Friday, April 12. An avid sailor, his ashes will also be spread on the waters of Lake Sakakawea. Bill was born on December 15, 1939, in St. Joseph, Mo., to Donald Hoyt and Luis Alyne (Danbury) Butcher. He graduated from Rochester High School and Albion College, both in Michigan, and did postgraduate study at American University in Washington D.C. On November 27, 1965, Bill and Dina Schoenthal, of King George, Va., were married at the U.S. Naval Weapons Laboratory in Dahlgren, Va.
Bill always said the best years of his life were in the Navy. After completing Officer Candidate School and being commissioned an Ensign in 1962, he served on active duty aboard the USS Camp during the Cuban Missile Crisis and the Cold War patrolling the North Atlantic. Bill completed active military duty in 1966 as a Lieutenant, and was then appointed as a Special Agent with the Federal Bureau of Investigation by Director J. Edgar Hoover. He served as an agent in Washington D.C., Pittsburgh, Pa. and as Senior Resident Agent in Minot. Bill greatly enjoyed his role of liaison with the Royal Canadian Mounted Police in Saskatchewan, Canada and was proud of his 20 years of service to his nation. Taking his grandmother’s advice to leave his “boats and guns behind and establish a nice business on main street,” Bill left federal service and worked as a petroleum landman before founding W.T. Butcher & Associates, Ltd, a private investigative and advocacy business in 1982. After branching off into drug testing, private security, court reporting and repossessions, the business received the Chamber’s Gold Star Award for Growth in 1990. Bill loved his work as a P.I. taking great joy in no two days being the same. He was also a lobbyist and political advocate highlighted by 13 years as the North Dakota state director and lobbyist for the National Federation of Independent Business. A genealogist, Bill traced his ancestry to the author Charles Dickens and is a member of the Society of Mayflower Descendants. He was “a North Dakotan by choice” introducing many with an out-of-state friend to pheasant hunting sojourns in western North Dakota. He coveted everything railroad. Furthermore, he knew Lake Sakakawea and its bays like the back of his sun-battered hand from years of sailing its waters. He greatly valued his affiliation with the Bismarck Area Sigma Chi Alumni Chapter. Above all else, he loved to sing. He sang for years with the Elks Chorus and could be found any given Monday morning leading the Farwest Rotary Club in song to kick off a new week. 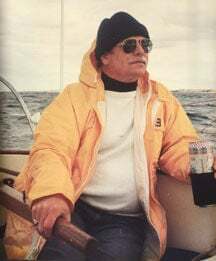 Bill served on many boards including the American Symphony Orchestra League, the North Dakota Private Investigation & Security Board, the Village Family Service Center and Friends of Lake Sakakawea and served as commodore of the Dam Yacht Club. He was proud to be an honorary plank owner of both the USS North Dakota commissioned in 2014 and the USNS City of Bismarck christened in 2017. He was named the Outstanding Member of the 20-state U.S. Navy Area Five Recruiting District Assistance Council. One of his greatest legacies was his commitment to advancing Farwest Rotary’s New Generations Park in northwest Bismarck. Bill is survived by his wife, Dina; daughters, Marnie (Shadd) Piehl, of Mandan, Amanda (David) Mack of Anchorage, Alaska; and grandchildren, Owen, Ryder, and Wyatt Piehl and Audrey and Adam Mack. He loved them all greatly. Memorial contributions to Prairie Public Broadcasting are encouraged.